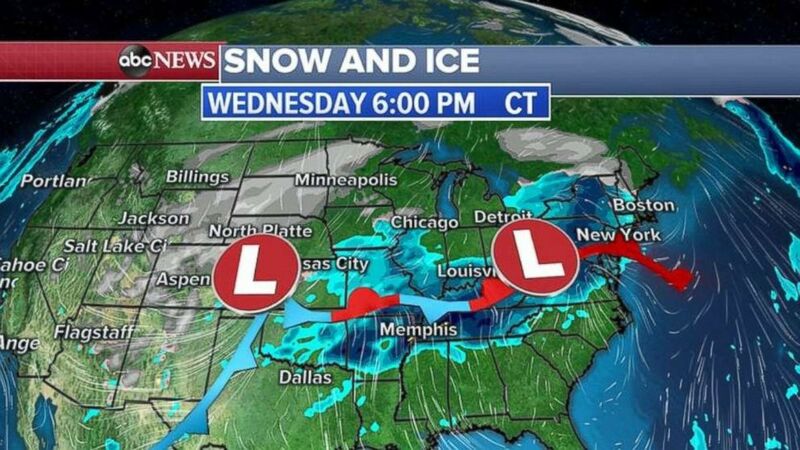 Storms originating in the West are heading into the Midwest and Northeast and wreaking havoc, including travel delays and accidents, with ice, snow and flooding. The Twin Cities slowed to a standstill yesterday as parts of that metro area saw half a foot of snow, with other parts of the state, and parts of Wisconsin, receiving 10 inches. This morning, almost three dozen states are under snow, ice or flooding alerts, as freezing rain is hitting southern Wisconsin, northern Illinois and parts of Michigan. About 350 schools in Detroit are closed today because of the ice storm. 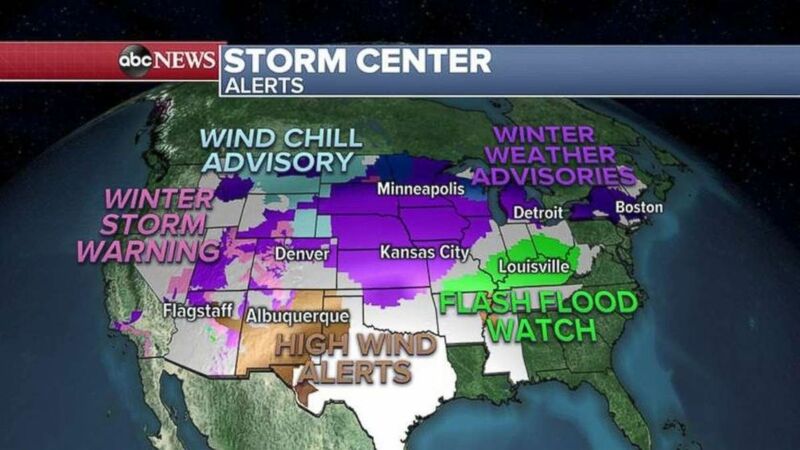 Weather alerts and advisories and warnings stretch coast to coast this morning. The western storms this morning now stretch from the Rockies all the way to the Ohio River Valley. A snowy evening commute is expected in Denver, with severe storms and flooding likely for the Plains and into Ohio. The Northeast is forecast to see freezing rain and a wintry mix. Winter conditions are expected tonight in the Midwest. Tonight and into tomorrow, the second western storm will hit the Midwest with more snow in Minnesota, the Dakotas, Iowa and Wisconsin. Some regions could see 10 more inches. Meanwhile, further south, the Ohio and Mississippi River valleys should see heavy rains and flooding, even with the second western storm being a bit milder than the earlier one. 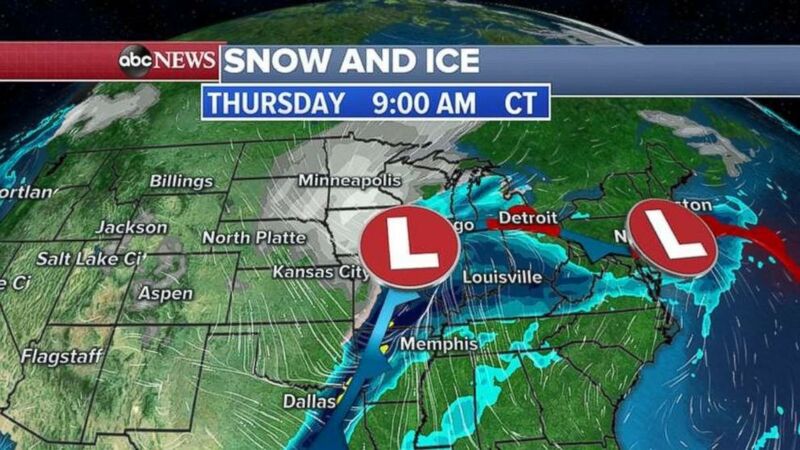 It looks as though the Midwest will be pounded with snow and ice Thursday morning. Through the end of the workweek, some regions may get a foot of snow, with significant ice buildup in other areas. 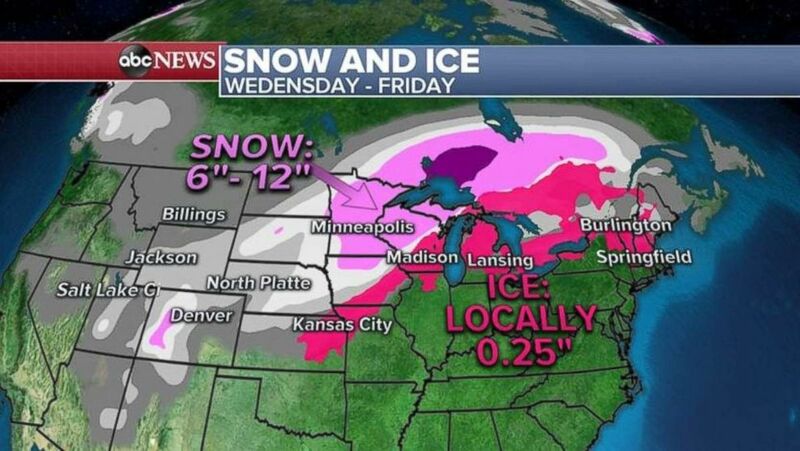 Parts of the upper Midwest may see a foot of snow through Friday.